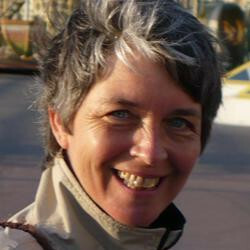 1993 - present: Associate Professor, Physics Department - Université Lille 1, Laboratoire d'Optique Atmosphérique (Villeneuve d'Ascq, France). My research interests are the analysis of cloud properties on a global scale by satellite remote sensing. I participated to the POLDER and PARASOL "Earth Radiation Budget & Clouds" processing line development and to the validation of associated products (cloud amount, cloud pressure, etc.). I am specifically involved in the multi-sensor analysis (PARASOL, SEVIRI, MODIS, CALIOP and CloudSat). More recently I participated to the High Altitude Ice Crystals (HAIC) Sub-Project 3 which focuses on the detection of cloud regions with high ice water content from remote sensing observations of space-based geostationary and low-orbit missions. Satellite remote sensing of cloud parameters from multi-spectral, polarized and multi-angular data.